This Australia Day Meat and Livestock Australia has outdone themselves in their ‘Operation Boomerang’ campaign, with some help from their biggest critics. While many brands have tried to milk national pride and celebration for brand benefit, it’s hard to go past the dedication of Meat and Livestock Australia’s efforts. For more than a decade, Meat and Livestock Australia has successfully connected their brand with Australia’s National Day. This year, they have once again managed to utilise the public holiday to build lamb’s profile with Aussie meat eaters. The fact they have offended a few vegans at the same time is actually just helping their cause to drive more PR around their advertising campaign. While recent Aussie Day lamb ads have been feeling rather overcooked, Meat and Livestock Australia have come back fighting for 2016 with an all star effort. 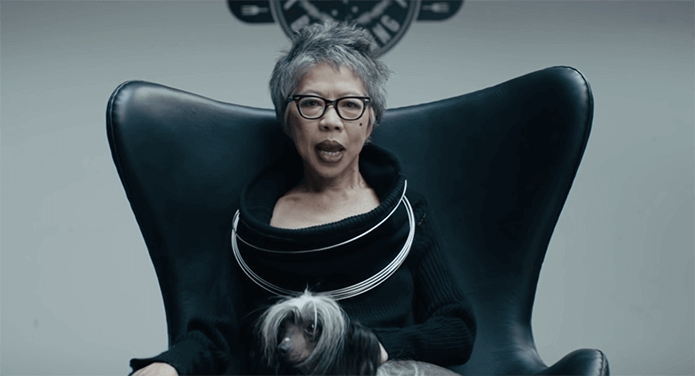 The commercial is an epic production that stars SBS newsreader Lee Lin Chin and a host of Aussie notables from sports stars to ‘our’ Danish Princess and of course George Calombaris. ‘Operation Boomerang’ is fired up with loads of Aussie clichés as Lee Lin Chin and Lambassador Sam Kekovich launch a mission to save Australians ‘stranded overseas’ from going without Aussie lamb on Australia Day. Australia’s Advertising Standards Bureau was asked to review the ad after more than 600 complaints. “I think all vegetarians and vegans are offended by this ad because it is saying that we are ‘unAustralian’ and ‘lack spirit’ by refusing to eat a damn dead animal that we have hearts for,” said one of the complainants. Much of controversy was about a scene showing a military officer taking a blow torch to vegan’s apartment. They essentially came to the conclusion that the advertisement was meant to be humorous and that the overall tone and theme of the advertisement is intended to be humorous and highly exaggerated and did not breach any of the advertising codes so it gave it tick to air. In reality, all the controversy has done little to damage the lamb brand. In fact, it has just helped drive more publicity for the campaign, encouraging much broader reach. The full version of the ad is available on YouTube and it’s already clocked up more than two million views. The 30 second version is now airing across the main networks nationally.